When your vehicle needs repairs, make sure you get OEM car parts to replace its current parts. 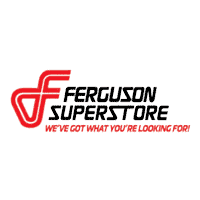 At the Ferguson Superstore, we have a parts department that can help you find just what you’re looking for. The auto parts experts at our car parts center near Coweta, OK, are expertly trained in all different types of vehicles, and they can help you order the right new component for your car, truck or SUV. We specialize in helping Buick, GMC, Subaru and Kia drivers find car parts, but we can help you with any brand you need. From new brake components to replacement tires, you’ll find all the key car essentials at our dealership. We can help you decide which battery is right for your Kia Sportage, or order A/C components designed to fit your Buick Enclave. We can also help you get new headlights, windshield wipers and much more. Visit the parts center at Ferguson Superstore today to get started.